Agency Description: Extrastaff is a high profile, rapidly expanding recruitment agency. Extrastaff is always recruiting in West London and the South East counties. Extrastaff Recruitment agency supply temporary driving and industrial personnel for warehousing jobs. Extrastaff Recruitment agency aims to be the number one national high street recruiter dealing with temporary driving jobs and industrial warehousing jobs. Extrastaff recruitment agency has 22 locations across the UK with 14 branches located in England. Hertfordshire office provides many warehousing jobs. Agency Description: Parkside Digital Marketing Recruitment was established in 1989. With offices in London, Staines and Uxbridge, we focus on the Thames Valley and West London region. Parkside is a finance and digital marketing recruitment agency providing high quality, expert recruitment and resourcing solutions through two specialist divisions in the Accounting & Finance, Digital Marketing and Executive Sales Professionals sectors with jobs offered within the West London region. Parkside Recruitment agency has two offices covering West London, Uxbridge, Staines, Surrey and the Thames Valley. The Parkside Recruitment team focus on the Thames Valley and West London region. the agency provides jobs in Central London and West London boroughs. Parkside Recruitment agency is part of Antal International Group (www.antal.com/job-search). BJMW Recruitment agency specializes in offering staffing solutions for Commercial, Industrial & Driving sectors. it provides recruitment within the Freight Forwarding, Courier, Logistics & Shipping Industries jobs in West London. 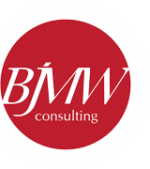 BJMW Consulting LLP specialise in finding the "best talent on the market" for some of the world's leading logistical companies in West London, if you have experience in air, road or sea within the freight, cargo logistics and shipping industries the BJMW recruitment team would be only too happy to hear from you. Agency Description: Acme Appointments recruitment activity has been working within the property sector including Facilities Management, Project Managers and Office Support recruitment. the Acme Appointments agency office is located in central London, Mayfair area, near Selfridges. The office entrance to 25 North Row ACME recruitment agency is through a revolving door. this recruitment agency is busy recruiting staff in the luxury property management sector - mainly central London. Directions: Buses 2, 13, 30, 74, 82, 113, 139, 189 and 274 stop outside of Selfridges in Orchard Street. Buses 6, 7, 10, 13, 23, 73, 94, 98, 137, 139, 159, 189 and 390 stop in Oxford Street either outside of or opposite Selfridges depending on direction of travel. the ACME Appointments Rec agency is located just a few minutes walk from either Marble Arch (Central Line) and Bond Street ( Jubilee line) underground stations. Agency Description: Opus IT & Finance Recruitment agency is part of the Opus Professional Recruitment Specialist Services Group that specialises in the provision of both permanent and contract resource throughout the Information Technology, Data Management and Analytics sectors..
Set up in 2008, Opus Recruitment Agency provides hiring solutions across the IT and Financial Services sectors in London. Opus Recruitment Solutions have been recognised by a variety of fast-growth and recruitment industry awards and accolades. Opus IT is looking for Trainee Recruitment Consultants to join their team (January 2018). Opus IT Recruitment team are posting the job vacancies in their Twitter page; @opusrs. as of January 2018, The Opus IT Recruitment agency offered 300 IT job opportunities in London ( Java developers, Python developers and Data Scientist are the most in-demand professional talents within Greater London). Directions: Nearest Tube; Liverpool Street and Moorgate Stations both with access to Hammersmith & City, Circle, Metropolitan and Northern lines. buses to Bunhill Opus office: 21,43, 76 and 141 will stop at Moorgate Station bus-stop. bus 153 stops at Finsbury Street bus-stop, 5 mins. walk to Opus recruitment office, Moorgate building is opposite Marks&Spencer. Recent Jobs: CRM Developer in City of London | JAVA Developer in London - £65000 per a year | Python Developer in Test, London - Permanent £85000 per a year | Data Scientist in London - 6 months Contract - £400-500 pay rate per a day.